Armchair Quarterbacking: FNH Part 1. This is a long time coming. I’ve wanted to Armchair Quarterback FNH for a good long time – but have always put it off because I knew this was going to be a massive AQB Session. Because I’ve got a lot of notes to go through here. Buckle Up. The only question here is how do we go about this one? Let’s make it easy for you guys to follow along. Go grab a 2015 FNH Catalog from your stack/file of manufacturer’s catalogs… or stop by your local dealer to get one. 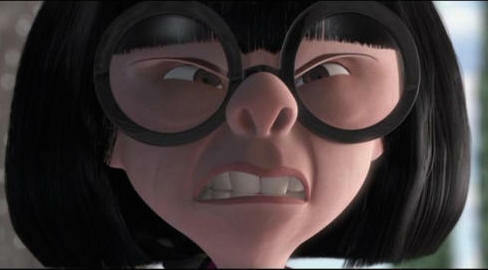 Let’s just go through this page by page. Page 13… Notice that it takes you 13 pages in their product catalog to get to their catalog. The prior 12 pages establish that, yes, FNH is awesome. They’ve take the Banner of the Builders of Badass away from Colt and away from HK. Impressive feat. You should change your logo now. Gloss Black background with gold lettering. Where was I? Ah – Page 13. We see a great photo of an FNS-9C. That’s an outstanding pistol. Recently there came the addition of the .40 caliber version – which is outstanding. But where is the FNS-45C? That’s a hole right in the middle of the lineup. There are a lot of shooters that still like .45 Auto. I myself would rather a .45 than a 9mm. Another hole in this line up of Compacts – is a compact FNX. A hammer fired version. I know Strikers are all the Rage, and coming out with a Striker compact first was a good move, yes. However I’m waiting on the X version. I want a hammer. Not only that, I want that compact hammer-fired pistol in .45. I’m a traditionalist… I have gray in my beard… I’ve earned my opinion. Now let’s talk about the FNS-C pistols specifically. Making them a straight up chopped version of the full sized guns is good – but you kind of missed the point on this. Compacts like these are meant for covert carry. Concealed carry. Under Cover, close to the body, under the shirt and inside the waistband carry. The problem is that the FNS-C’s have some bloody sharp edges on it where there shouldn’t be. Give the “Little C” pistols a melt job. Just have a guy hit them with a belt sander a little bit before sending the slide to get finished. Hit some of that grip frame as well. In fact, if you could… Take that grip frame and just sand that frame rail right off the bottom. No rails. The idea here is to keep the FNS-9C as small as possible and as comfortable as possible for concealed carry. Don’t think that would work? Look at the SIG M-11, it has no rails and SIG is selling the hell out of them. Oh, would you look at that – it also has a hammer. Just sayin. Pages 15-17. The FNS and FNX series as shown. Solid guns. I really like them. But turn real quick to page 18. What do you see? 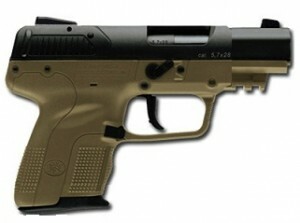 The FNX-45 Tactical. Are you following me here? Yeah… I’m going to say it. Where are the FNX-9 Tacticals? And the FNX-40 Tacticals? With the extended threaded barrels, suppressor sights, and slides cut for Micro-Red Dots? 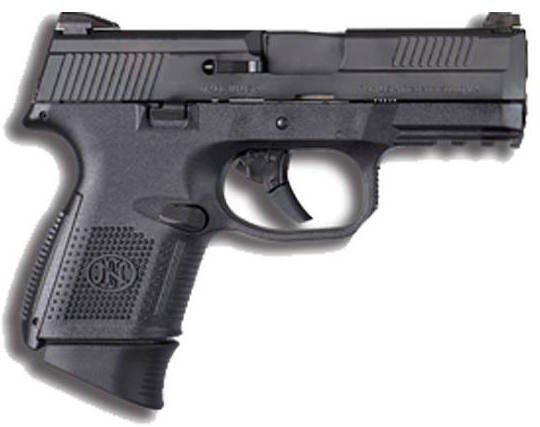 S&W has this with the CORE pistols – hugely popular. In fact, when I was with a certain tactical holster company – that was one of the #1 questions about the M&P holsters – would they fit the CORE. Glock has the MOS series of pistols out now – all pre-cut for RMR sights. What – does FNH think only guys wanting that are shooting .45 Autos? While we are talking Tactical editions… Where is an FNS Tactical? Because the CORE and the MOS pistols just happen to be strikers. FNH, you need to bring balance to these forces. Let’s talk colors. Page 18 and page 19, I’m seeing Tan frames. Where are the Tan frames on the other pistols? I mean, obviously, you guys have the capability to do tan frames… but you’ve chosen not to. Let me tell ya something. Glock pistols in the alternate Tan color – always sell out before the regular black pistols do. And a Tan gun in the Compact lines actually make a lot more sense as they will be less noticeable than a black gun. That and folks just like different color options. I’m not saying pull out a rainbow… But FDE and ODG would not go amiss here. Speaking of a miss here… The long slide guns… Some factory installed adjustable sights with a high-vis front sight post would be ideal. Come on – just a special edition run of them at least. That would be legendary. Page 19. The Five-Seven. You know what else I’ve heard a lot of wishes about? 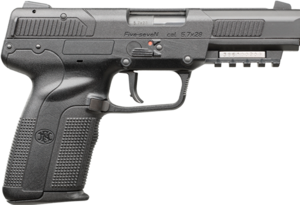 A Compact version of the Five-Seven for concealed carry. Guys that are into it wish they could pack these concealed. Shorter mags down to 20 rounds – chop the barrel a 3/4 an inch, melt job, and no rails. The 57C. Seriously… that would be awesome. Also, it needs the Tactical Treatment as well. Extended threaded, RMR cut. Do it. People ask for it. FNH FN57C. Compact package with a 15 round magazine. Threaded Barrel Available. I’m not even all that much of a Five-Seven Fan – but that’s hot. I’d buy that. A 15 round Compact? Hell yeah I would. That’s awesome. PLEASE BRING BACK THE HI-POWER. Do so with modern sights, contoured controls, and without the magazine disconnect safety. Thank you. Thinking about an FNS Pistol? Think again. This is rather disturbing for a duty type auto. Read this all the way through. Hat Tip to Hordemember HK.